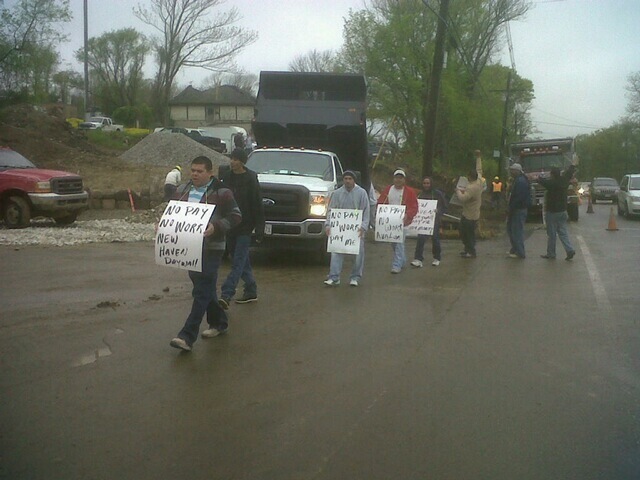 A group of nonunion carpenters went on strike at two projects yesterday, seeking close to $100,000 in wages owed to them. The carpenters approached the union for help after their employer--New Haven Drywall--refused to pay them and bounced checks for their drywall and taping work. Carpenters first demonstrated yesterday morning outside of Cohasset AvalonBay, a project that has been slowed for years by permitting and economic reasons. Construction finally began last year and the company hopes it will open early this summer, according to media reports. After securing more than $17,000 owed to 11 of the carpenters on the Cohasset site, the group traveled to Norwood, where they planned to demonstrate seeking close to $80,000 15 workers claim to be owed there. New Haven Drywall was also the subcontractor there, hired by developer Chestnut Hill Realty, which is acting as the general contractor, developer and owner. 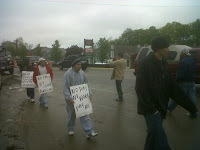 The strike continued there today. The Somerville Journal reported on AvalonBay's troubles in Woburn, where the Attorney General forced them to settle claims of housing discrimination. The story also discusses the death of Oscar Pintado, a carpenter who was killed during construction of the project when he fell 48 feet through a hole that was improperly covered with unmarked particle board. 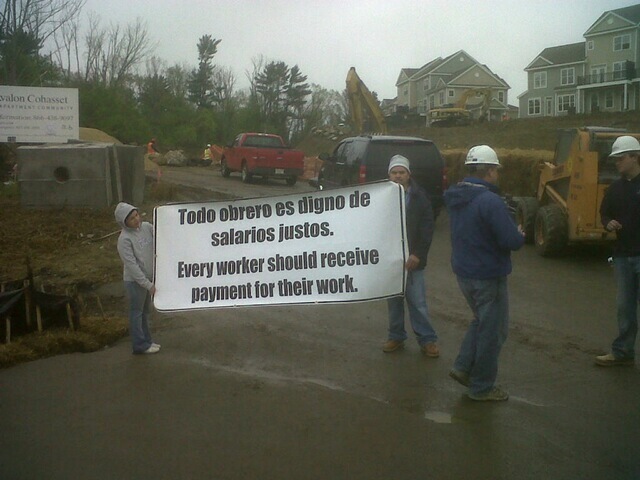 The Woburn site was one of several AvalonBay sites that were the subject of an Attorney General's Office investigation into misclassification of workers and wage and hour complaints by workers employed by AvalonBay subcontractors.